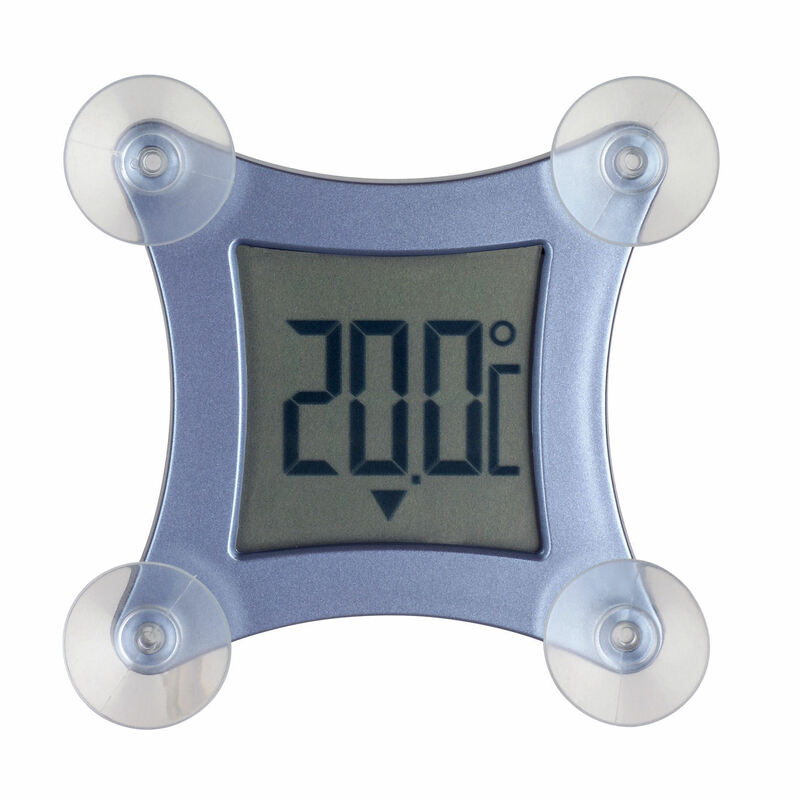 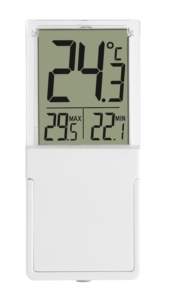 With "POCO" window thermometer, you always have the current outdoor temperature in view. 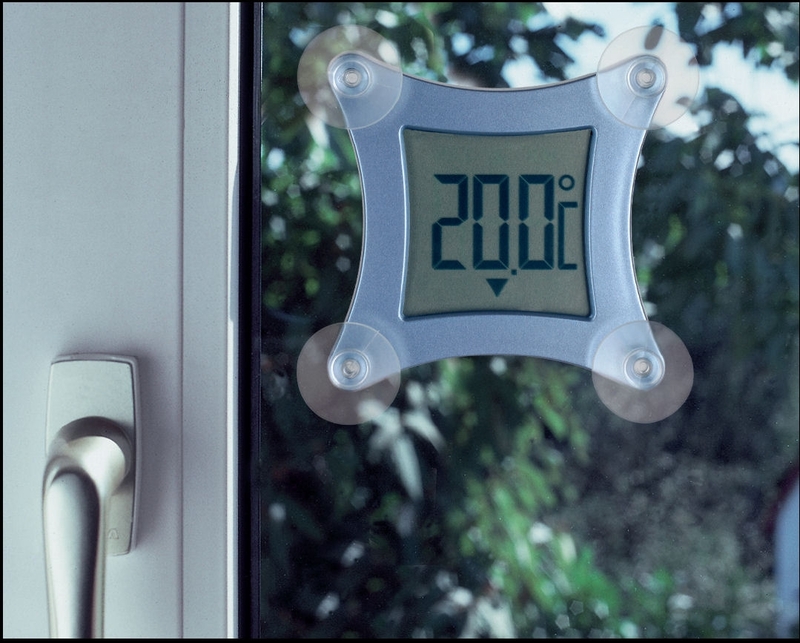 Simply attach it to the window pane outside with the suction cups provided and you’re done! 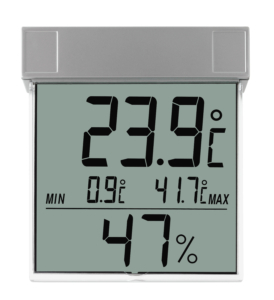 So you’re always well informed – and that from the comfort of your living room. 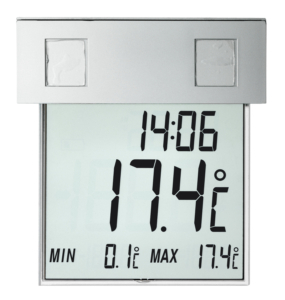 Thanks to the large display, the values are particularly easy to read. 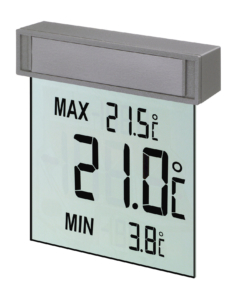 In addition to the current temperature with trend, highest and lowest temperatures can also be displayed, and these values are automatically reset every day.